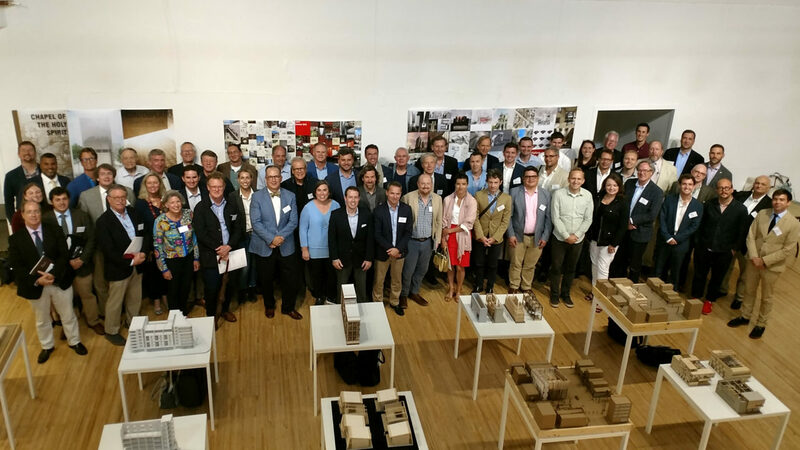 On September 7, 8, and 9, the ICAA welcomed more than 75 participants from across the country and around the world to the 2018 ICAA Education Forum at the Catholic University of America’s School of Architecture and Planning. Leaders in the field of education discussed the why, what, and how of a wide range of dynamic programs offered through the ICAA and an expanding network of organizations and schools. The Forum kicked off with a roundtable on ICAA Chapter Education. Representatives from thirteen Chapters shared developments in regional education programming for members, new audiences, and in collaboration with partnering organizations and institutions. Discussion sessions centered around building Continuing Education programs, New Heights, and education resources. The Forum sessions on Saturday were organized around three topics: shorter term programs, curriculum and content, and education at the university level. Panelists in session one presented on supplementary and continuing education courses offered through the ICAA, INTBAU, and the Academy of Classical Design in North Carolina. ICAA educators Michael Mesko, Erik Evans, Leslie Jon Vickory, and Kahlil Hamady described how the Summer Studio, Regional Intensives, and Rome and Paris courses serve as vehicles for refining the teaching of core subjects and testing new content. Curriculum enhancements developed in one program are shared, scaled, and adapted across all modules, enriching the education program in aggregate and ensuring core curricula is strengthened and expanded. Mark Ferguson and David VanGroningen offered insights into how recent University Workshops at Carnegie Mellon and the University of Miami can take root through sustained faculty engagement and sponsorship. Presentations on the Engelsburg Summer School in Classical Architecture in Sweden by Christopher Liberatos and Jenny Bevan, the INTABU Architecture and Urbanism Summer Programs in Spain and Portugal by Alejandro Garcia Hermida, and the Academy of Classical Design Ornament Program by Patrick Webb underscored the demand for short term programs for professionals and students and for curricula that supports learning by participants of diverse backgrounds and experience levels. Panelists in the second session recapitulated the value of the ICAA's core curriculum as a guiding framework in the development of courses that have had positive impact on the teaching of composition. Stephen Chrisman and Marty Burns discussed how the study of precedents via field Measured and Analytical Drawing has been successfully deployed in program formats ranging from one day to four weeks. Keaton Bloom presented on how essential aspects of the Beaux Arts esquisse and charrette design process have been adapted and scaled for Intensives and the Summer Studio. A marked increase in the quality and comprehensiveness of design work produced in these key programs is evident. Richard Economakis presented a proposal for layering in a typological perspective to extend the teaching of composition from the scale of the building to the design of the public realm. Michael Dennis, in the first of two keynotes, provided highlights from a forthcoming book on the language of city form that identifies elements required for an urban architecture, and demonstrates through a compendium of historical precedents the mutual interdependence of buildings and the city. 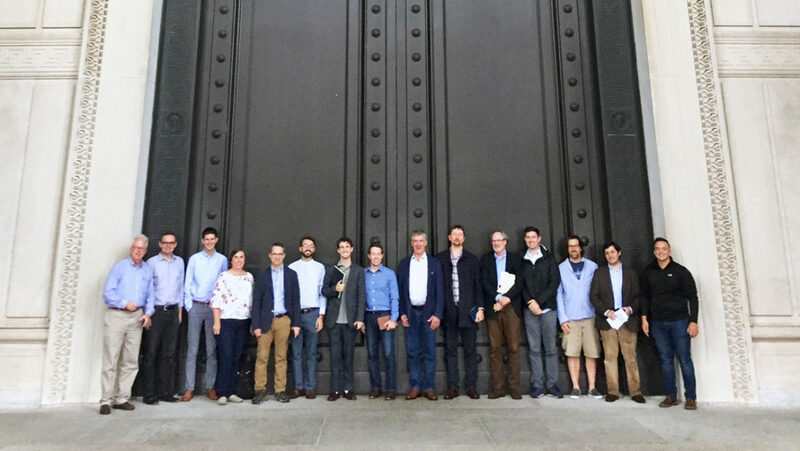 "It was great to see so many programs, chapters, and schools represented, and so many different viewpoints - it was a showcase of the behind-the-scenes achievements of the past decade or so... the ICAA is building bridges between many people... I left the conference with the feeling that we have many allies out there, and that the ICAA is at the center." The final session of the Forum focused on education at the collegiate and university level, with representatives from 10 schools participating. Nathaniel Walker of The College of Charleston's new MA in Community Planning, Policy, and Design, advocated for addressing critiques of classicism by highlighting the cultural synthesis embedded in the language and celebrating the humanistic values that bond it with many world traditions. George Knight reflected on how student apprehensions towards the classical studio at Yale provides opportunity for dialogue on the relevance of classical architecture in modern life. 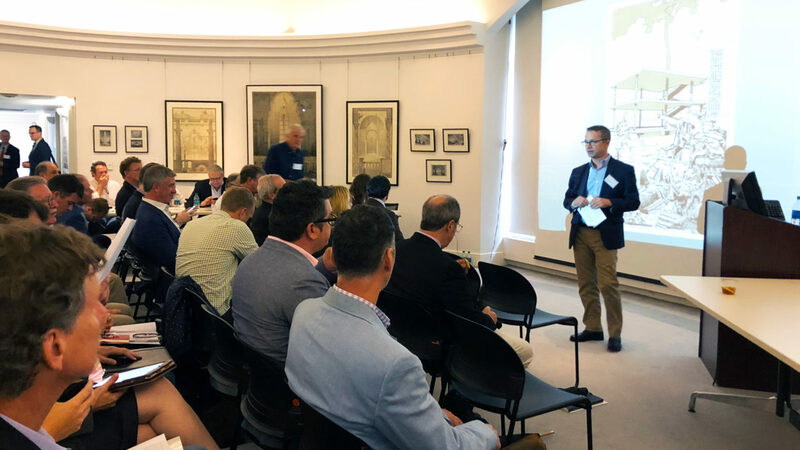 William Bates described the American College of the Building Arts experiment in redefining post-secondary education and Stephen Hartley shared progress on continuation of the craft tradition through a new BFA in the Building Arts at Bryn Athyn College. Christopher Miller shared studio projects at Judson University that focus on urban morphology and making buildings and places that support sustainable communities and urban regeneration. James McCrery addressed the importance of uninterrupted pathways in undergraduate and graduate studios that allow students to accrue skills and knowledge in classical design along a continuous degree track at Catholic University. Richard John, of University of Miami, spoke on crafting a contemporary pedagogy for the 21st century Classical Studio using references from Vitruvius to Krier. Timothy Smith and Jonathan Taylor shared their approach to teaching classical architecture in the MArch studio at Kingston University, London, which operates under the premise that all good design deals positively with users and communities, budgets, site contexts and materials, at all scales. Samantha Salden-Teach of the University of Notre Dame spoke on the need for different conversations to effectively communicate the contemporary value of architectural literacy and learning via a classical approach with students, faculty, and the NAAB. In the second keynote, Michael Lykoudis, Dean of the University of Notre Dame School of Architecture, made the case for a reconciliation of the seemingly opposite ideologies of modernism and classicism and for renewed ways of thinking about all of the past. 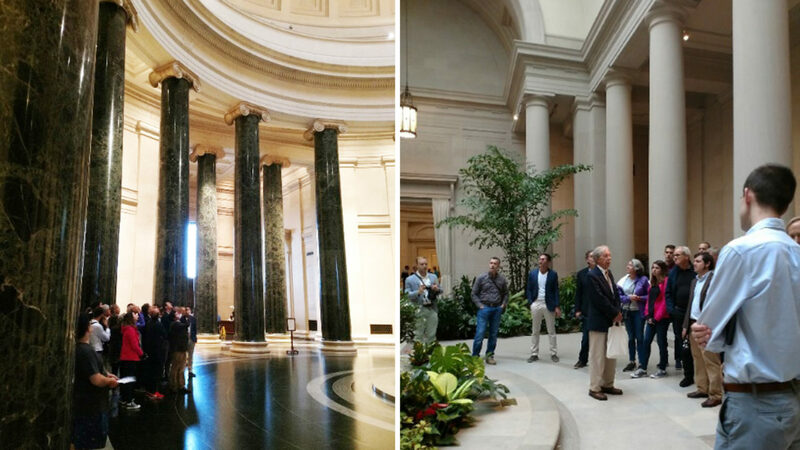 Sunday activities included exploration of two masterpieces by John Russell Pope through a drawing session at the National Archives lead by Stephen Chrisman and Marty Burns and an orientation to the architecture of the National Gallery by Calder Loth. The Education Committee gratefully acknowledges the generous support provided by lead sponsor Harrison Design, partner sponsor Traditional Building, the ICAA Mid Atlantic Chapter with Hull Historical, and to all contributors for making possible the opportunity for educators to connect, engage, and participate in this important conversation. A full list of presenters and topics may be viewed here. A special thank you to Professor James McCrery, Dean Randall Ott, and Provost Andrew Abela and the architecture students of the Catholic University of America for generously hosting the Forum in the inspiring surrounds of the Edward Crough Center for Architectural Studies.